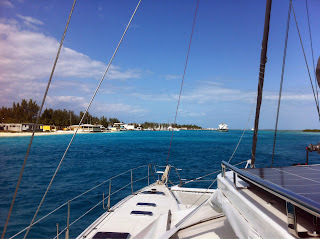 Today we crossed over to Bimini, in the Bahamas. 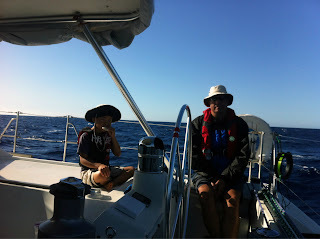 We made great time because of the strong winds. It was pretty wavy but everyone did reasonably well. We caught a big barracuda, which we threw back. The teeth on that thing were scary. 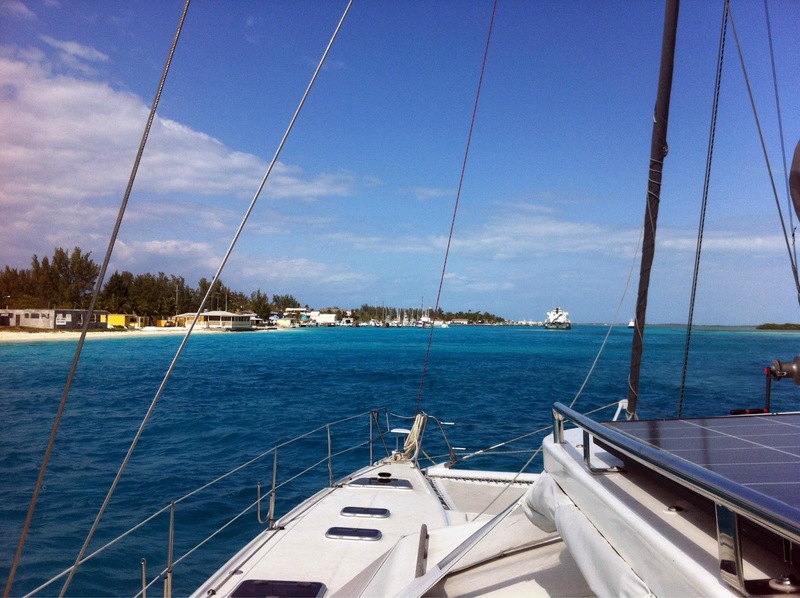 Unfortunately, when we tried to anchor, we snagged an electrical cable. The weight of it burned out a fuse for our anchor's windlass (the motor that brings the anchor up and down) so we had to dock for the night instead of anchoring out. We should be able to fix it tomorrow. The good news is that no one was injured during the crossing and no damage was done to the boat. We enjoyed some Bimini bread and cracked conch (conch that has been lightly breaded and fried) from a place that the locals frequent. ERMAHGERD! The water is so Blue! The snow is so white up here! I bet you're really sad to be missing it! Ahhh...come back and pick me up!! !..WHAT an adventure!!!!! !